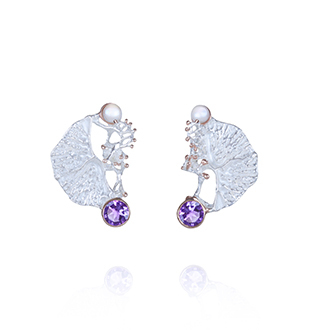 A pair of solid sterling silver statement earrings with 18 karat rose gold finish featuring amethyst and pearl. Also available with other gemstones. Keiko Uno’s Coral Garden series is inspired by allure of magical underwater gardens. 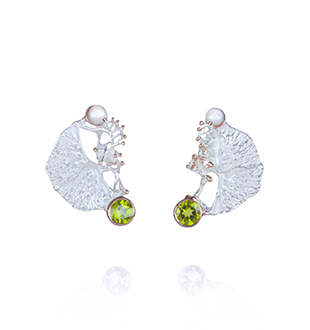 The Coral Garden series forms part of Keiko Uno’s luxury sterling silver Rockpool Collection.